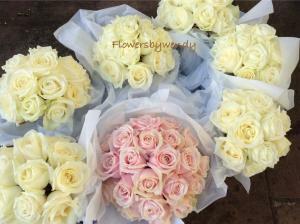 This is a wedding flower service by Flowers By Wendy for any Bride and Grooms working on a budget or have a last-minute wedding. All you need to do is look through the flower packages and select which one you would like as ‘your perfect match’ bridal flowers. 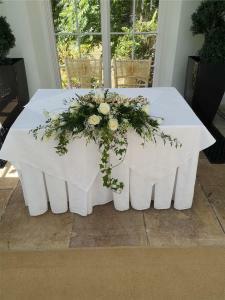 This saves time going through our traditional wedding service of making an appointment for a consultation and costs involved with a wedding flower planner . 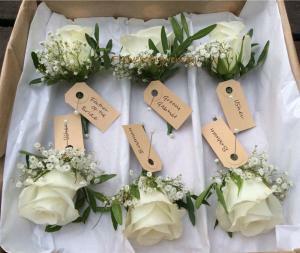 The ‘Perfect Match’ wedding flower packages can be worked with a change of colour to express the beauty of your wedding or if you personally need to add or subtract the amount of bouquets or buttonholes we can make adjustments to the value and send an estimate to you. It is that simple. 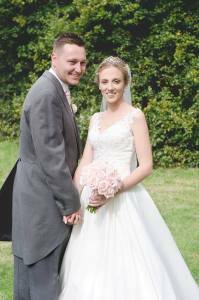 ‘ Perfect Match’ wedding flower packages will have a name to quote when making contact with us and we can forward an email with an application form so we can have details of your wedding day. 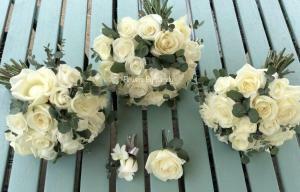 To supply your flowers and give you great pricing we do need a months notice on all ‘Perfect Match ‘ bridal flower packages. 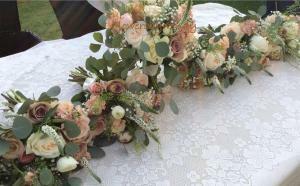 All flowers are carefully selected and perfect blooms used to make your bridal flowers , we still offer a superb service and attention to detail . What ever your budget let us inspire you. 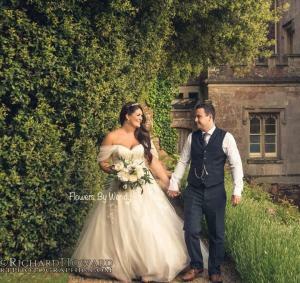 We have had the privilege of designing flowers for hundreds of weddings and our flowers have adorned rooms and grounds of some of our most beautiful local venues and Marquee locations. 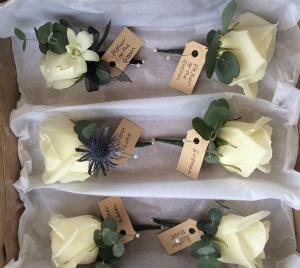 All wedding flowers are packaged and buttonholes labelled for easy distribution along with any advice on looking after your flowers and can either be collected on the morning of your wedding again to save costs or we can offer a delivery service with an extra charge. 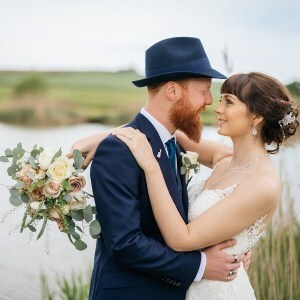 We have taken into account the distance and times we are from each venue to allow the locality and route for your wedding day plans if organising collection and handing over your ‘Perfect Match’ flowers. 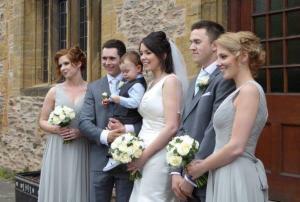 With joyous preparations of your special day we also present all Bride and Grooms a complimentary bottle of bubbly and card. 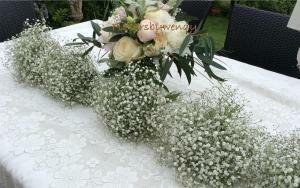 1 x Brides Handtie bouquet made in a loose country style. 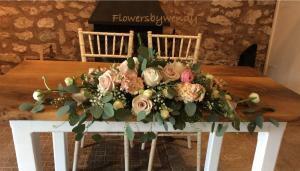 4 x Adult Bridesmaids Handties with flowers to match the Brides Bouquet made slightly smaller. 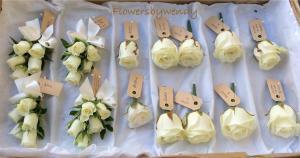 1 x Grooms extra special buttonholes with ivory rose and detail.